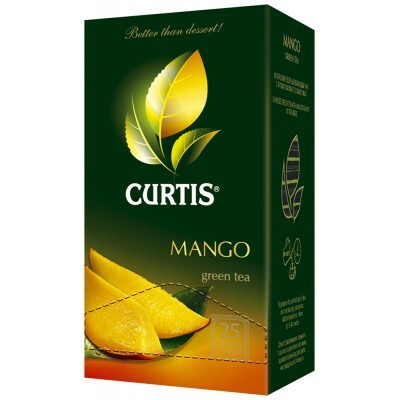 Green tea "Curtis" Mango buy for 3.2900 in store RussianTable with delivery. Treat yourself with moments of pleasure with the CURTIS Mango Green Tea, which has a sweet exotic mango flavor, creating a sensation of idyllic relaxation on a tropical island. Do you have any questions about Green tea "Curtis" Mango?